Just Bones Boardwear™ gave us the opportunity to review their Hybrid adjustable waistband shorts. These shorts aren’t just for swimming, they double as shorts! Isn’t that great?! We love that idea! These quick-drying shorts are available in two styles with many vibrant prints and trendy designs. • Performance shorts which are great for any water sport with a guaranteed perfect fit with the adjustable waistband that won’t fall off in the water with comfortable 4-way stretch. • Hybrid shorts are perfect for going from the beach to shopping, biking and even to that backyard BBQ with the patented adjustable waist and comfortable stretch. There’s a Velcro® flap in the back of the shorts where the adjustable band is discretely hidden. Lift the well-hidden flap, adjust the waist-size and presto, the boardshort fits perfectly! There is also tie front. My husband received the men’s BAJA hybrid swim shorts to try, and I have to say, we are impressed. Brian really likes the shorts! What he likes about them is that they are lite weight and very comfortable. The fact that they have an adjustable waist (for when he over eats) is a big plus!! After washing the shorts 3 times, they still look new and still feel so soft! I’m so happy we were able to do the review, my husband finally has a pair of shorts he likes to wear! 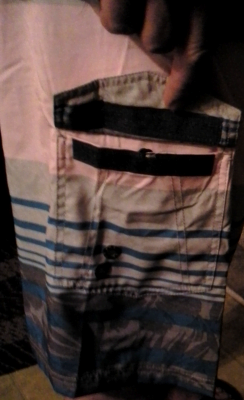 Just Bones Boardwear shorts make a nice gift for any occasion and they carry men, boys, girls and toddler sizes. Check out more product reviews and more household/kitchen product reviews. Thank you for taking the time to read my review! 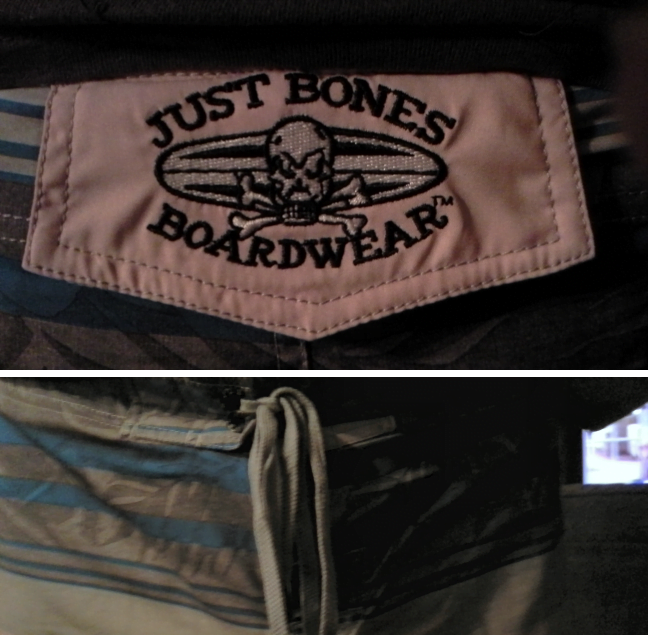 We received the Just Bones Boardwear Hybrid Shorts free of charge in exchange for an honest review. Each product received for review is treated like we paid full price. Reviews are based on my and/or my family’s personal experience with the item. We are not obligated to give a positive review. We received NO financial compensation other than the product for the review. This disclosure is in accordance with Federal Trade Commission’s 16 CFR, Part 255: Guides Concerning the Use of Endorsements and Testimonials in Advertising.